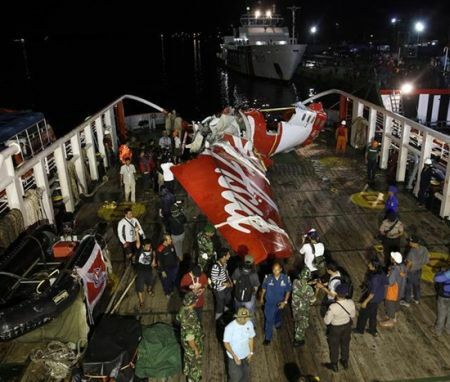 The captain of the AirAsia jet that crashed into the sea in December was out of his seat conducting an unorthodox procedure when his co-pilot apparently lost control, two people familiar with the investigation said. The Airbus A320 jet plunged into the JavaSea while en route from Surabaya, Indonesia, to Singapore on December 28, killing all 162 people on board. An official involved in the investigation said that the doomed aircraft had been suffering maintenance faults with a flight control computer for a week or so and that the captain had flown the same faulty aircraft just days before the crash. On Thursday, it was revealed that it was the first officer, not the captain, who was flying AirAsia Flight 8501 when it crashed into the ocean en route to Singapore. First officer Remi-Emmanuel Plesel held the controls at the time when the ill-fated aircraft attempted to make a dangerous climb. #JabWeMet: It was love at first sight! PHOTOS: This Romanian church is really COOL!